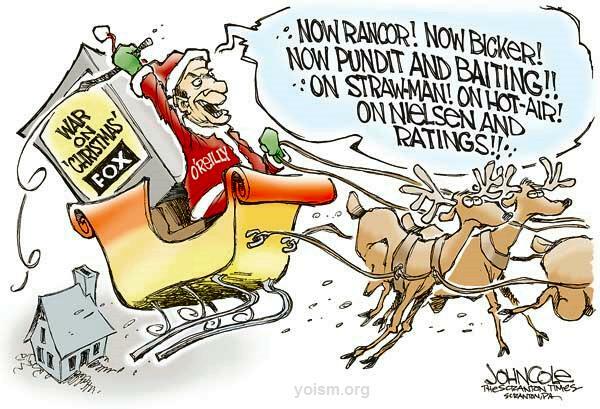 It’s about that time of year where some members of the mass media would have you believe that there’s some sort of yearly and ongoing war on Christmas being waged. 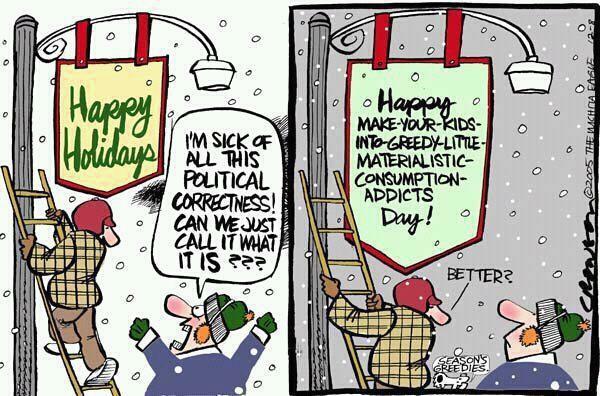 If you choose to say Happy Holidays instead of Merry Christmas, you’ve declared war on Christmas. If you tell someone Seasons Greetings then you’re part of the Liberal Agenda and out to undermine all that this country stands for. Now of course that’s all a load of horse hockey.. at least from my point of view. And in case you’re wondering, I’m neither Democrat nor Republican. As most.. or probably only some people know.. Christmas is far from the only holiday to occupy the month of December, but for some reason people act like it’s all that exists. If I have a friend who celebrates Kwanza then you know what I do?? I wish him a Happy Kwanza. If I run into a fellow celebrator of Hanukkah, then I wish him a Happy Hanukkah. If I have a friend who celebrates Yule and/or the Winter Solstice, I wish them a Happy Yule or a Happy Solstice and so on and so forth. You get the point. Of course if I don’t know a person or anything about a person, then I wish them Happy Holidays or something else less religious. Now is there something wrong with me wanting to be all inclusive during the holiday season and embrace the differences that make us who were are? I don’t think so, but apparently some people do. Not to get too educational on you good folk out there and this may offend a reader or two, but know that I say what I say because it’s the truth. Christmas is not the birthday of Jesus Christ of Nazereth. In fact, I believe he was born during a warmer time of the year, which as you all know.. December is anything but. If anything, Christmas was the Roman Catholic Church’s way of making it easier to convert the Pagans of the time. Christmas is wrought with Pagan undertones. The mistletoe, the holly and so on and so forth. Christmas time was originally the Winter Solstice. All of that not withstanding, I wish everyone who reads this Happy Holidays and a Happy upcoming New Year. And I felt that the cartoons posted below were appropriate considering this post.